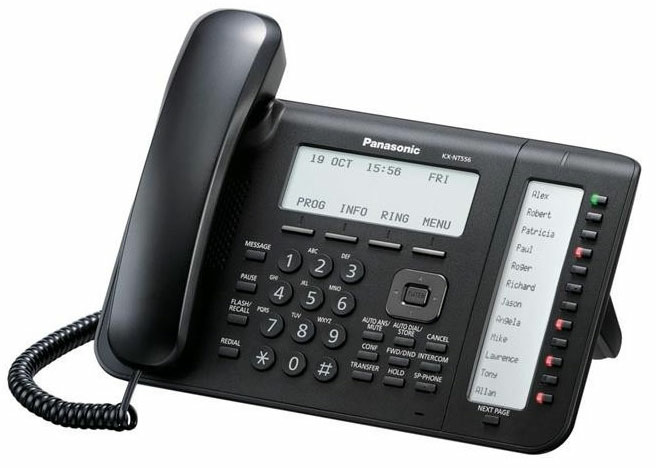 The Panasonic KX-NT556 IP telephone is part of the KX-NT500 Series the most advanced IP phone from Panasonic. It features full duplex headset and speakerphone, dual gigabit ports and excellent sound quality through the enhanced echo cancellation and expanded acoustic chamber features. The result is more advanced, productive voice communication with an “in person” impression.